More pop-ups coming to Windows 10. Microsoft has been battling out in the internet browser battlefield with two large players for years now – Google’s Chrome and Mozilla’s Firefox. 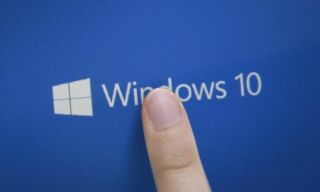 Even though Microsoft Edge managed to successfully replace the largely unpopular Internet Explorer in the Windows 10 operating system, a large portion of its users still prefer to use either Chrome or Firefox. Now, Microsoft has resorted to new and rather controversial tactics: warning users not to install internet browsers other than Edge. The media are reporting that Microsoft is adding pop-up notifications in the latest Windows 10 test builds, currently available in the Windows Insiders program. The company is trying to draw more people to use Edge by notifying them. These notifications pop up as users try to install a different browser. It was also said that Microsoft will allow its users to disable these notifications, if they want to. The media are saying that this tactic will most likely backfire. Instead of motivating more people to switch to Edge, it will most likely just further antagonise them, as people are generally annoyed by pop-up notifications. It is still unknown if these notifications will make it to the official Windows 10 version or not. The next bigger update for Windows is the October 2018 update, but according to The Verge, we won’t be seeing this feature then.